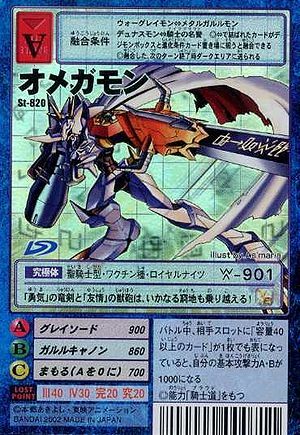 ◎Put one component card into the Digimon box and the other into the evolution requirements box to fuse them together. ◎This card is sent to the Dark Area at the end of the turn after the turn it was fused. During battle, if one of the cards in your opponent's slots that has a capacity of 40 and above turns face-up, you can make your basic attacks A and B become 1000.